I'm bringing back the Style Icon's but instead of focusing on a certain celebrity I thought I'd take inspiration this week from Pinterest, a very Tumblr-esque website that allows you to save photos into different folders. That's probably one of the worst explanations ever but here's a link to my Pinterest profile so you can understand how it works slightly better than my explanation. 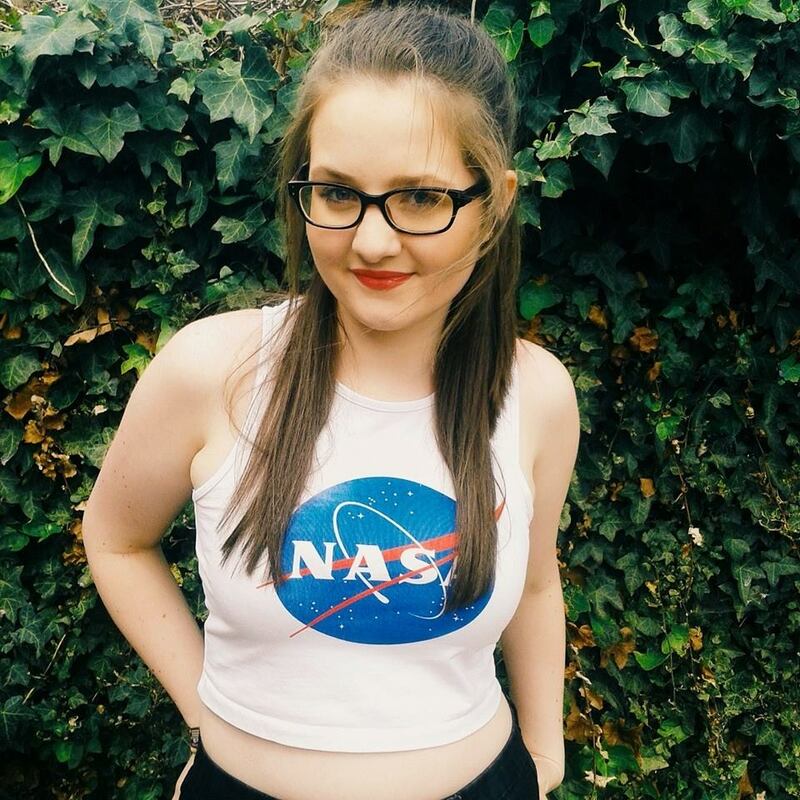 Anyway, I thought I'd take some of my favourite outfit posts from Pinterest and share them with you to explain how I taken inspiration from them. I'm not going to explain each item of clothing in detail seeing as there are way too many outfits to get through. So without further ado let's get into it. 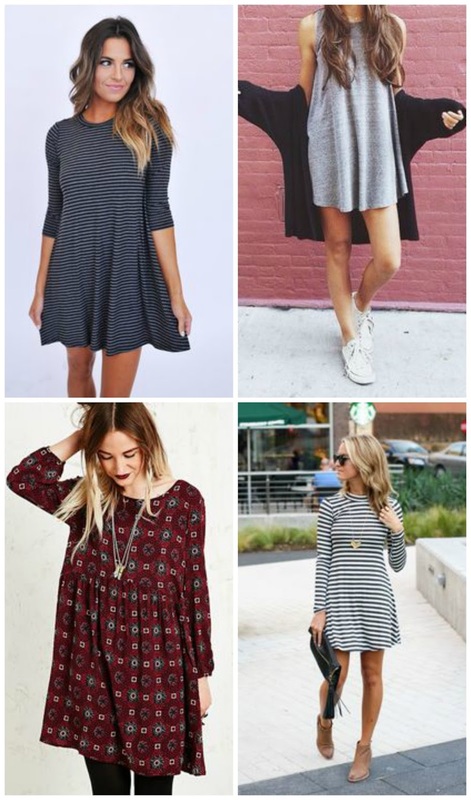 T-shirt dresses are something that have been becoming extremely popular just about everywhere and even though I am yet to jump on the bandwagon of buying one I am looking for the perfect one. I just really love how flowy they are and don't really hug your body so you can wear them on days where you want to look dressy but be extremely comfortable. Do any of you have any ideas of where I can buy a nice t-shirt dress? I'm really into the grey ones of stripey ones! Two pieces, specifically the shorts and shirts versions, are a new love in my life. I've been a bit obsessed with playsuits for a while but am now looking to branch out and two pieces is what I've seemed to lay my eyes on. I just think that they look so classy and put together. I feel as if you can make them look quite casual or dress them up to go out in depending on the style of two piece you chose. I'm quite fond of the blues, whites, greys and blacks - very basic colours which can be dressed up or down. Now onto the random items of clothing. I'm really obsessed with the low cut, stripey or checkered patterns on them. Whilst looking through these photos I've now come to realise that I have a serious obsession with stripes and checks, is there somewhere I can go for help with that obsession? Something that I've really been loving from Pinterest is blue denim that is slightly washed out. I don't think I've worn blue denim since I was about 10 but have really gotten into it. I am yet to buy any blue denim, actually no that's a lie - I've bought a blue denim skirt which I am in love with. 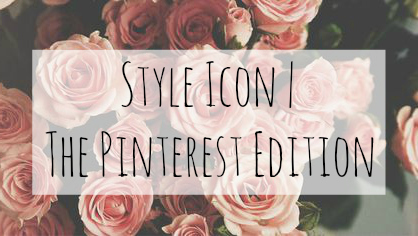 So there's my Style Icon, The Pinterest Edition. Are there any items of clothing from Pinterest or any other websites that you're loving? I'd love to know, I know this wasn't the best blog post ever but I really wanted to get one up for you. Love you all!